Vaccumm packed sliced products: As soon as you receive it, store it in the refrigerator. Take it out about 15 minutes before serving, to be eaten at room temperature to better appreciate its flavor and its oily texture. Ham with bone: When you receive the ham, remove it from its box and remove its cover him. 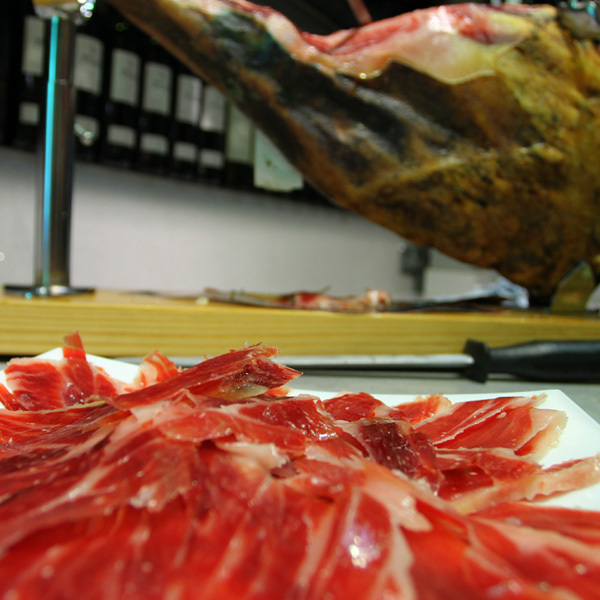 The piece of ham must be kept in a cool (15 º C), dry and protected from insects. You can hang or install it on its ham holder. To better appreciate the flavor you should eat it at room temperature. For the perfect preservation of the ham after cutting, use the fat you have removed to protect the cut surface of the ham, and avoid dryness. Then cover with a clean cloth. If the product is not guarded after the cutting began, a layer commonly known as white mold may appear. It does not matter, just to clean the area with paper towel soaked in olive oil and no problem. Enjoy it!! !